After the big Indian notes, now it's time for 10 rupee note to get a new makeover. According to reports, the Reserve Bank of India is all set to issue new Rs 10 notes under the Mahatma Gandhi series with chocolate brown colour as the base. Around 1 billion pieces of the new 10 rupee note has already been printed by the apex bank. Last week itself the new design was approved by the government, the report further said. 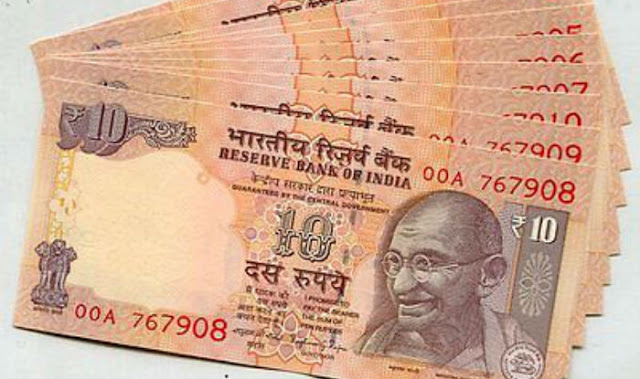 The old Rs 10 note was last redesigned in 2005. In August, 2017, new Rs 50 and Rs 200 notes were introduced in the Mahatma Gandhi series. In order to get rid of counterfeiting and promote a less-cash economy, the move to reintroduce lower denomination notes in a new design was made. At 10 pm on November 8, India's Prime Minister Narendra Modi announced that on the stroke of midnight, all 500 and 1,000 rupee notes -- 86 per cent of the currency in circulation -- would cease to become legal tender. Up to that point, upwards of 95 per cent of all transactions in India were conducted in cash and 90 per cent of vendors didn't have the means to accept anything. On top of this, 85 per cent of workers were paid exclusively in cash and almost half of the population didn't even have bank accounts. Demonetisation proved to be a major disruption in the Indian economy and brought great hardship to people who spent hours in the serpentine queue to get Rs 500 and Rs 1,000 notes exchanged or deposited in their bank accounts. Later, Reserve Bank of India (RBI) said in its Annual Report for 2016-17 that 99 per cent of the junked Rs 500 and 1,000 notes were returned to the banking system. This led many, including Opposition leaders. questioning the very logic of demonetisation. An estimated Rs 15.4 lakh crore worth old Rs 500 and Rs 1,000 notes had been demonetised on November 8. But, return of about 99 per cent demonetised currency to banks does not necessarily makes demonetisation a failure. However, beyond the political statements, even those made by Prime Minister Narendra Modi and his ministers, there are several effects of demonetisation that may augur well for the economy in the long run.